I hope everyone had a great Canada Day weekend and let’s hope the rest of the summer is a little less wet than June was. According to farmzone.com, the average rainfall in Ottawa in June is 85mm whereas we received nearly 130mm of precipitation in June of this year. For our local farmers and for the enjoyment of summer, hopefully we’ll have a much better July and August. While summer is officially upon us, there is still some work to do at City Council in the coming weeks including a vote on the plan for LRT between Tunney’s Pasture and Baseline Station and another vote concerning a casino in Ottawa. I’d like to take this opportunity to discuss the upcoming vote on the casino issue that will come before the Finance & Economic Development Committee (FEDCO) on Tuesday, July 9th and rise to full Council on Wednesday, July 17th. For those new to the issue, Council first considered whether or not Ottawa was to be a willing host to a new or expanded casino in October 2012. This was due to the Modernization Plan put forward by the Ontario Lottery & Gaming Corporation (OLG) that suggested new locations for casinos throughout Ontario. Council voted 19-5 in favour of being a willing host, sending the message to the OLG that Ottawa should be considered for a new casino. At that time, and with the support of residents throughout Rideau-Goulbourn, I voted against the idea as I felt the only desire of the OLG was a downtown casino and this would come at the cost of the existing Rideau-Carleton Raceway (RCR). RCR is an integral part of our rural communities and its potential closure would result in the loss of nearly 1000 jobs, which, in my mind, would be completely unacceptable. My opposition was not against the idea of expanding gaming, but against the potential loss of the RCR. I was always of the mind that if we expand gaming in Ottawa or if we build a new casino in Ottawa, that it should be on the same grounds at RCR. This brings to us to a motion before FEDCO on July 9th, put forward by Mayor Jim Watson, which states “that the Ontario Lottery & Gaming Corporation be informed, prior to the start of the RFP process, that the only location acceptable to the City of Ottawa for an expanded gaming facility is the current location at the Rideau Carleton Raceway.” This is a welcome change in direction from the support of a downtown casino that responds directly to the overwhelming support of RCR from the residents of Ottawa. From October until today, I have consistently heard from residents across the City, either via email or in person, if we are to see a new or expanded casino that it should be at RCR. In recent weeks, we’ve seen one individual come forward and suggest that he should be allowed to bid on a casino for him to build on land that he currently owns. However, at no point in the last eight months have we heard from residents of Kanata/Stittsville, or any other community for that matter, indicating that they want a new casino in their community. A new casino in a community like Kanata/Stittsville would decimate existing restaurant and hotel businesses and create a gambling environment in a community where that environment does not currently exist. Without the support of the people that actually live in the community, I would not support the construction of a new casino in it and nor should the elected officials that represent that community. Rideau Carleton Raceway was established long before any new developments have encroached upon it and a considerable buffer still exists between Findlay Creek and their site on Albion Road. It is the logical choice for an expanded casino operation and I am happy to support our call to the OLG that this be the only location considered. I strongly encourage my colleagues on Council to do the same. I look forward to this vote and I want to thank all of you for the support you have shown for Rideau Carleton in recent months. I’d really like to thank everyone on Flewellyn Road for their patience this summer as construction will affect this particular road due to three separate projects stretching the entire length of the road. Earlier, we announced closures between Huntley Road and Eagleson Road due to the Enbridge Gas pipeline reinforcement project. Beginning this month, we’ll also begin the resurfacing of Flewellyn Road, between Munster Road and Ashton Station Road. The latest notice of closure is concerning the portion between Munster Road and Dwyer Hill Road for the renewal of a bridge. This closure will begin July 2 and last until August 22. Local and emergency traffic will maintain access and a signed detour will be in place. Thank you again for your patience. Before I delve into my scintillating column, I just wanted to let everyone know that I will be at the new Tim Horton’s in Richmond this Thursday, June 27th between 6:00am and 10:00am as part of my Councillor for Hire initiative. Feel free to come by and I’ll do my best not to screw up your order! Last February, the City of Ottawa facilitated a public meeting for Caivan Developments regarding the northern portion of the Western Development Lands, which straddles Perth Street. At that time, Mattamy Homes, the owner of the southern portion, had not yet filed an application pertaining to that property. Since that time, Mattamy has submitted a development application consisting of 1100 homes (848 single family homes, 172 townhouses, and 80 back to back units). This proposed development would also include a school lot as well as two parks, one being over three hectares. Recently, Mattamy asked the City’s Planning staff to facilitate a meeting in the coming weeks. In consultation with my office, I suggested that a summer meeting was not appropriate for this type of application and recommended a September meeting instead. Once I received a specific date, I will confirm but this public meeting is expected to now be scheduled in September, rather than July. We provided two months notice for the Caivan meeting and I feel Richmond deserved the same two month notice for the Mattamy application. You can find more about this application at www.ottawa.ca/devapps. Select Ward 21 and look for the application addressed 6305, 6420, 6431 Ottawa Street. This Saturday, June 29th, Rideau Pines Farm is hosting a great new event called “Rockin’ The Pines”. This is a family friendly event on the grounds of Rideau Pines, located at 5714 Fourth Line Road. This event will feature magic acts, balloon twisting, face painting as well as a bouncy castle for children. Entertainment will also include a variety of live music acts beginning at 1:00pm with the last act taking the stage at 10:00pm. There will also be a fireworks display in the evening. One of the new street food vendors will be on site all day, Ottawa Streat Gourmet and Royals Restaurant will also be providing food to this event as well. Admission to this event is $25 for the day and all food and drink options are quite affordable. Proceeds from “Rockin’ The Pines” will be donated to CHEO. For more information on this exciting event, please visit www.rockinthepines.com. Why drive all the way downtown this Canada Day when you can enjoy the festivities and relax in right here in North Gower? Celebrations start at 1:00pm with the annual bike parade. Decorate yourself and your bike in Canada’s colours and meet at the North Gower Marlborough Public School for a parade down to the Alfred Taylor Centre. There are prizes to be won for the most uniquely decorated bike. All ages are welcome to participate! Afterwards, opening ceremonies will commence at 1:30pm and be held at the pavilion for the singing of O Canada, as well as greetings from elected representatives. The fun will continue at 1:45pm with rides and activities including a gumball bouncing house, volcano climbing wall, kiddie slide, dunk tank, cow milking and plinko! In addition, come and meet special guest, Miss Teen Ottawa, Chelsea Vineyard as she will be joining us in the Gower. Finally, bring your lawn chair, relax, and have a chat with your neighbours and enjoy the fireworks at dusk. 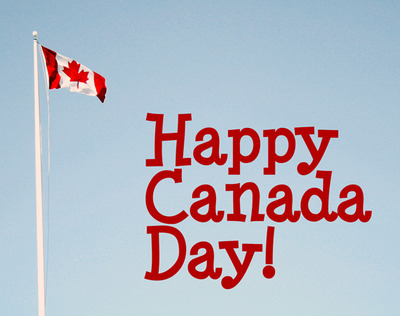 A special thank you to all our community volunteers who make Canada Day in the Gower possible! The North Gower Farmers' Market will be holding their annual Strawberry Social on Saturday June 29th. There will be free strawberry shortcake while quantities last. The North Gower Farmers' Market can be found on Rogers Stevens Drive in the village North Gower. This authentic country market has more than fifty vendors selling everything from produce, meat, eggs, and all kinds of homemade baking. We also have many local artisans that have everything from cutting boards to sewing and knitting to art. Stop by Heather's Café for a great lunch or breakfast. The market is located at 2397 Roger Stevens Drive and is open 8:30am until 1:00pm every Saturday until Thanksgiving. For more information please visit our website www.ngfarmersmarket.com or call 613-489-9794.